This is the most fun you’ll have in the cold! 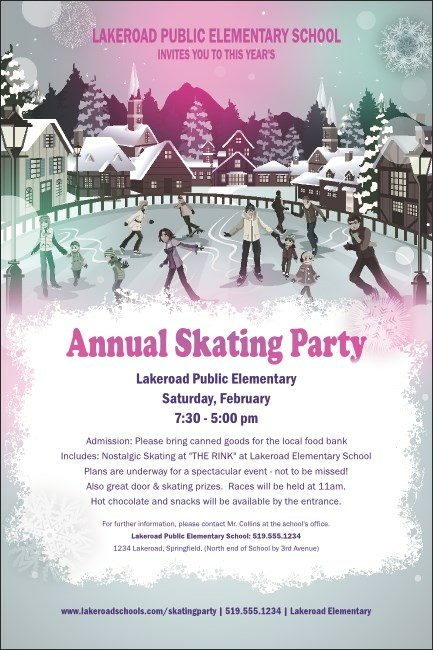 Get the inside edge on ticket sales when you promote your next party with Skating Party Posters. Each Poster features crystal snowflakes falling on a scene of happy skaters enjoying their time out on the rink. Add all your event details to the template in nice shades of light pink and purple. Choose from a wide variety of seasonal party templates at TicketPrinting.com.